We are making progress, but as noted in the editorial, it isn’t enough. Better education, better public health policies to restrict access to tanning beds and increased awareness have made their mark but we still have a way to go on this particular journey. Wang and colleagues studied 20 best-selling U.S. sunscreen products ranging from 15 to 100 SPF and marketed as broad-spectrum. They tested the products based on the critical wavelength requirement in the U.S. and the UVA protection factor test in Europe. The researchers examined 62,573 women aged 55 to 69 over two decades. They were all participants in the Netherlands Cohort Study examining diet and cancer, which began in 1986. Breast cancer patients who receive the drug Herceptin for nine weeks as part of their post-surgery chemotherapy regime may enjoy better health outcomes, according to new research led by UCL, compared to those who receive it for 12 months, the period currently recommended in the English NHS. The trial included 846 patients from 91 hospitals in the UK, who were monitored for two years, making it the largest randomised trial of statin treatment in cancer patients to date. Trastuzumab is a classic example of precision medicine by targeting HER2. But these data tell me that while some patients definitely benefit from adjuvant trastuzumab, many don’t. The problem is that we are drugging all patients because we don’t know which minority will benefit. Where’s precision in all this? Using mouse models of melanoma and breast cancer from which the majority of the tumor had been surgically removed, they found that mice treated with the engineered platelets had reduced tumor regrowth and metastasis and lived longer than mice treated with normal platelets or the checkpoint inhibitor alone. How to turn "cold" tumors into "hot" tumors? OncoSec's approach is to inject "cold" melanoma lesions with DNA-based interleukin-12 (IL-12), a protein that activates components of the immune system. 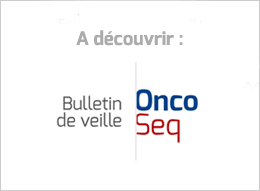 OncoSec then uses a short series of electric shocks (delivered with needles) to open the membrane of the tumor cells and help the IL-12 to enter. Karyopharm enrolled 176 patients with relapsed of refractory AML aged 60 years and older and gave them either its oral inhibitor of the nuclear export protein XPO1 or one of four physician's choice therapies, including regimens incorporating Celgene’s Vidaza and Otsuka’s Dacogen. The trial set out to show whether selinexor improved overall survival—and on that front the study fell short. Friday’s approval puts Chi-Med and Lilly closer to receiving Chinese regulatory approval, Hogg said, adding that he’s hopeful fruquintinib could be used to treat colorectal cancer as a third-line treatment by early 2018. Patients in the neurofeedback group attended 20 sessions in which they played a computer game that trained them to modify brain wave activity in the targeted area. Over time, participants learned to manipulate brain activity without an immediate reward from the game. The control group was offered the neurofeedback intervention at the conclusion of the study. The retraction, in Molecular Cancer Research, is the third of five papers Pfizer asked to retract, after an investigation discovered they contained duplicated images. The papers have been discussed on PubPeer, which is also mentioned in the latest retraction notice. Such laws sound compassionate, but medical ethicists warn they pose worrisome risks to the health and finances of vulnerable patients.